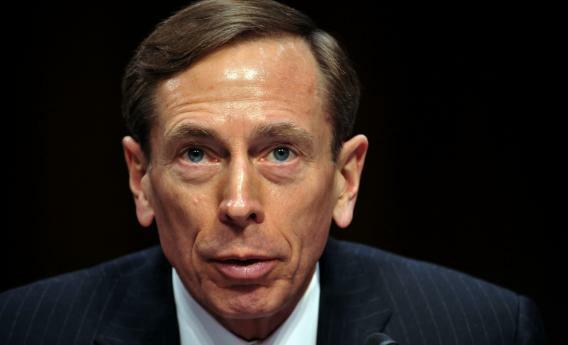 Petraeus Affair and Paula Broadwell: The CIA Director resigns over his affair with his biographer . Photo by Karen Bleier/AFP/Getty Images. The woman with whom Gen. David Petraeus was having an affair is Paula Broadwell, the author of a recent hagiographic book about him, All In: The Education of General David Petraeus. Sources tell me that President Obama, who has been getting along with Petraeus very well in the past couple years, agonized for 24 hours over the letter of resignation before accepting it. The move no doubt ends the career of the most famous, and perhaps most strategically astute, American military commander in decades. Petraeus has attracted detractors—fellow officers and some senior White House aides—who regarded him as a “showboat” and excessively ambitious. It had long been rumored that something was going on between Petraeus and Broadwell. Her book, co-written with Vernon Loeb, is widely regarded as a valentine to the general. When she was embedded with him in Afghanistan, they went on frequent 5-mile runs together. But Petraeus went on 5-mile runs with many reporters, and few people who knew him took the rumors seriously. In his personal life, he’s always been seen as a straight shooter, a square. Few could have imagined that his end would come as the result of a morals scandal. Fred Kaplan is Slate’s “War Stories” columnist and author of the forthcoming book, The Insurgents: David Petraeus and the Plot to Change the American Way of War. He can be reached at war_stories@hotmail.com.